Editor's note: This story has been revised to include corrected information on Citi's payment terms and to add comment from a Canadian consumer. June 20 is fast approaching. That's the date when Costco will stop accepting American Express cards and start insisting that customers use Visa credit or debit cards, checks, cash, EBT and Costco cash cards. The change has been promoted as being a bonanza for customers, who will be getting bigger cashback credits and a few other perks. But some eagle-eyed consumers aren't so sure. "Hidden in a large multi-page letter is the fact that the new Citi Visa interest is compounded daily on any charges made. So, if you charge an item, there is no grace period," Bonnie of Concord, California, noted in a recent ConsumerAffairs review. "I think it's no accident that it is buried and they are counting on it not being noticeable." Bonnie emailed Costco about it and received a reply telling her to take it up with Citi. "Costco dropped Amex who allowed the customer to pay the bill in full by the due date and it is interest free, not so with the new card," she said. However, Bonnie may have been too harsh in her assessment. The terms and conditions that accompany the card state that if the cardholder pays the entire amount due within 23 days, there will be no interest charged. The confusion is typical of that encountered by many customers who have been trying to navigate the switch and the always-secretive Costco doesn't provide much help. Also feeling left out in the cold are Canadians who spend the winter in the U.S. We heard from Dave of British Columbia, who makes his way to Arizona each winter. "Costco Canada switched from AMEX to Capital One Mastercard (which also serves as our membership card). So although our membership card is accepted in U.S. stores, it still means we won't be able to charge items anymore." Dave took it up with Costco but got nowhere. "The effect will be a drastic reduction in our expenditures at Costco -- already they lost about $ 20K US in purchases over the last year -- but when I emailed them they didn't seem to care. Frank of Burlington, Vermont, takes issue with the foreign exchange fee on the new card. "Any card that claims to be an 'anywhere' card and charges a rip-off 3% foreign exchange fee is being deceitful and dishonest," he said. Frank also complained that the switch to Visa will affect his credit score. 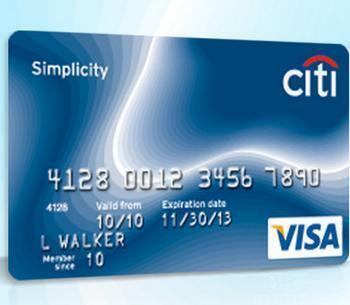 "The credit limit on this card is $6,800 less than on my Costco/AMEX card which it replaces. It will change my ratio of credit available to credit utilized thus lowering my credit score. Watch out and complain if this happens to you." The switchover hasn't been exactly a bonanza for Costco either, at least not yet. The company recently said it has lost about $40 million since it stopped taking new card sign-ups last fall. Executives have been telling Wall Street analysts that things will turn around quickly once the transition is completed, but Motley Fool advises investors to keep a careful eye on Costco's bottom line over the next few quarters to see what effect the change is having. Then there are the Costco members who have been members for years but never had a Costco-issued card. One small business owner we talked to said he has two cards -- an American Express for business use and a high-limit/low-interest-rate Mastercard for personal use. He does not want another card to keep track of and so never applied for a Costco Amex. "So what happens to me June 20?" he asked. "Costco had no problem taking my annual executive membership fee but no one has bothered to tell me how I am supposed to buy anything after June 20. I certainly don't intend to use cash and I haven't written a physical check in a store in years." The answer for him, he said, will be Amazon.